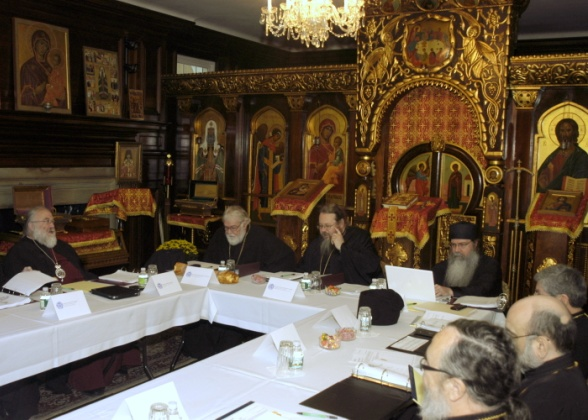 The fall session of the Holy Synod of Bishops of the Orthodox Church in America concluded on Thursday, October 6, 2011. The meeting was chaired by His Beatitude, Metropolitan Jonah, Archbishop of Washington, Metropolitan of All America, and Canada. In attendance were His Eminence, Archbishop Nathaniel of Detroit and the Romanian Episcopate; His Grace, Bishop Tikhon Bishop of Philadelphia and Eastern Pennsylvania, Secretary; His Grace, Bishop Benjamin of San Francisco and the West; His Grace, Bishop Alejo of Mexico City; His Grace, Bishop Melchisedek of Pittsburgh and Western Pennsylvania, Interim Chancellor; His Grace, Bishop Michael of New York and New Jersey; His Grace, Bishop Matthias of Chicago and the Midwest; His Grace, Bishop Mark, Auxiliary Bishop of Baltimore; His Grace, Bishop Irenee, Auxiliary Bishop of Quebec City, Administrator of the Archdiocese of Canada. Absent were His Grace, Bishop Nikon of Boston, New England, and the Albanian Archdiocese, and His Grace, Bishop Irineu of Dearborn, Auxiliary Bishop of the Romanian Episcopate. Highlights of the session, drawn from the minutes by Archpriest Eric G. Tosi, OCA Secretary, include the following. elected Archimandrite Alexander [Golitzin] as Bishop of Toledo and Bulgarian Diocese. 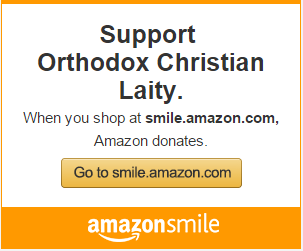 His consecration will take place in early May 2012 after he concludes his teaching obligations at Marquette University. heard the Address of Metropolitan Jonah to the Holy Synod in an executive session. heard the report of the Interim Chancellor, Bishop Melchisedek, who spoke of the ongoing work of the Chancery, reported on the work of the Sexual Misconduct Policy Advisory Committee [SMPAC], and spoke on a variety of pastoral issues affecting the Church. met with SMPAC members, Archpriest Michael Matsko, Protodeacon Peter Danilchick, Dr. Nikita Eike, and Thaddeus Wojcik Esq., General Counsel of the OCA. 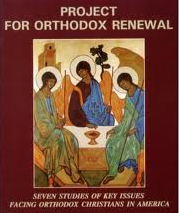 who updated Synod members on the revision of policy. There were a series of questions and decisions made on the new policy which will now be reworked for approval. Other areas were discussed, including processes and personnel. heard the extensive report of Archpriest Leonid Kishkovsky on External Affairs, including inter-Church relations and other issues for future consideration. heard the report of the OCA Secretary, Father Eric, on an array of administrative matters, including the work of the Church’s committees, boards and commissions. He reported on some personnel issues that are under consideration. He also reported on communications and the new OCA web site, as well as future plans. heard the report of Melanie Ringa, OCA Treasurer, and reviewed the 2012 Budget. Mrs. RInga offered a complete review of 2011 finances to date, as well as a review of the external audit for 2010. There was extensive discussion on the final issues of the audit and an in-depth discusssion of proposed 2012 budget recommendations from the Metropolitan Council. Various other funding issues were discussed. heard reports from the OCA’s departments and committees, which were given by Father Eric. were updated on the 16th All-American Council. Father Eric gave a final report on the Council and the Preconciliar Commission. He discussed the agenda, organization, reports, services and various issues that will arise during the Council. heard an in depth report by Mr. Wojcik on various legal matters in executive session. There were extensive discussions on particular issues with the Holy Synod. appointed a new OCA Chancellor while awaiting the candidate’s acceptance. The Holy Synod received the nomination from the Metropolian Council, accepting and approving him as the candidate. Currently, the candidate is reviewing the offer. His name will be announced formally after he has accepted the offer. On Thursday, October 6, the hierarchs attended the Divine Liturgy marking the Feast of Saint Innocent [Veniaminov] of Moscow in the Chancery’s Saint Sergius of Radonezh Chapel, after which they offered prayers for His Eminence, the late Archbishop Dmitri, retired Archbishop of Dallas and the South, on the 40th day of his repose. reviewed a number of clergy cases in executive session. set dates for future meetings and other activities in a planning session. blessed the Guidelines for Social Networking, which will be posted in the near future on the OCA web site. approved the Service for Consolation of Families of Suicides, which will be distributed at a later date. reaffirmed the 1992 Synodal Affirmations on Marriage, Family, Sexuality and the Sanctity of Life. discussed various episcopal matters in executive session. discussed various parish openings and diocesan needs. received an update from the Synodal Investigation Commission and blessed its continued work. The Holy Synod approved psychological testing for all candidates for ordination, clarified procedures for ordination, and blessed the Board’s ongoing work in drafting a formal policy document. This will be released when completed.